Striping - Paving Professionals, Inc.
Once the pavement has been repaired or resurfaced, our company will stripe your pavement area. 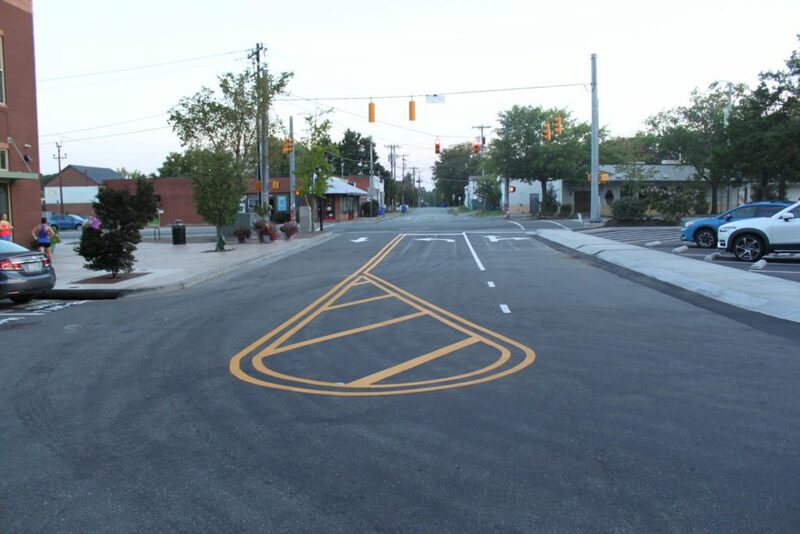 High quality and durable paints, meeting traffic specifications, are used to paint lines, handicapped symbols, and pavement marks as necessary. Our work meets transportation standards using the right products and applications. 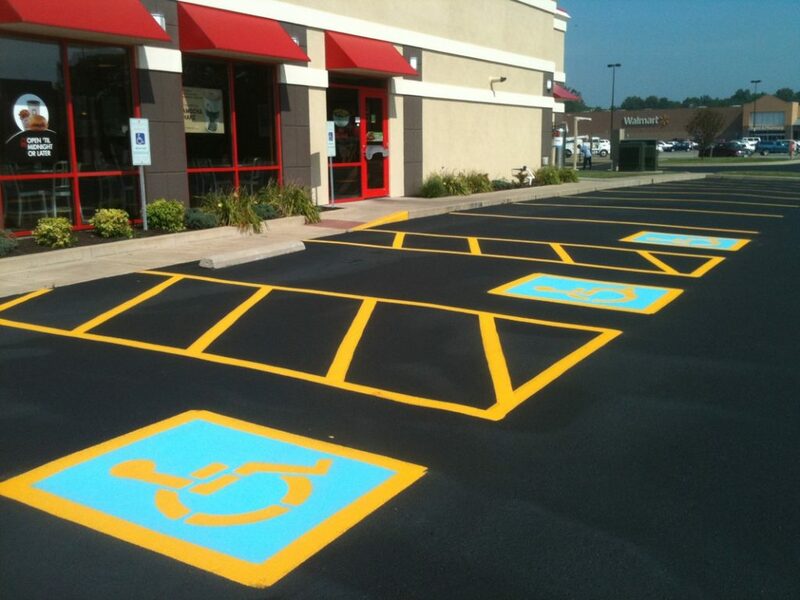 Besides offering the typical parking stall 9 feet wide by 18 feet long, we can also provide handicapped parking markings, meeting the minimum ADA standard. 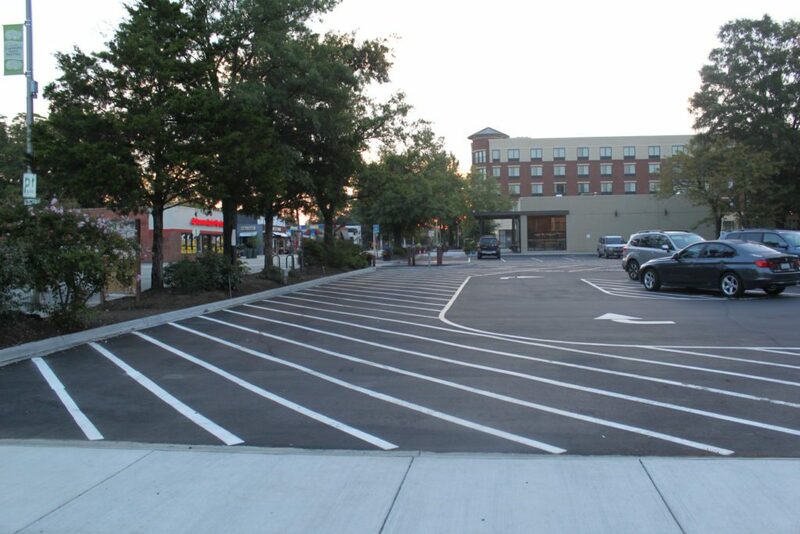 In certain instances and per customer request, we can also stripe compact car stalls, measuring 7.5 feet by 15 feet long or 8.5 feet wide by 16 feet long.